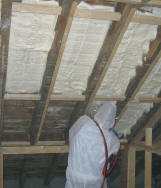 Spray Insulation Limited is the sole owner of the information collected on this site. We will not sell, share, or rent this information to others in ways different from what is disclosed in this statement. 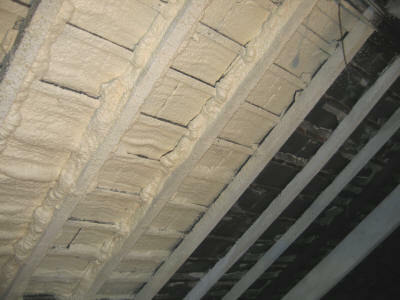 Spray Insulation Limited collects information from our users at several different points on our website. We may request information from the user for, order and payment purposes. Here a user must provide contact information (like name and address) and financial information (like credit card number, expiration date). This information is used for billing purposes and to fulfill customer's orders. If we have trouble processing an order, this contact information is used to get in touch with the user. We use a credit card processing company to bill users for products & services. These companies do not retain, share, store or use personally identifiable information for any secondary purposes. This web site may contain links to other sites. 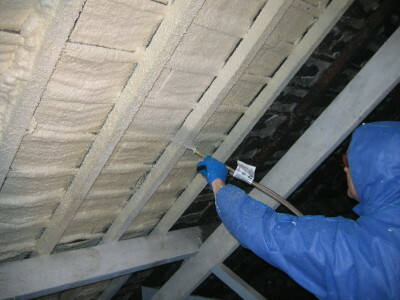 Spray Insulation Limited is not responsible for the privacy practices of such other sites. We encourage our users to be aware when they leave our site and to read the privacy statements of each and every web site that collects personally identifiable information. This privacy statement applies solely to information collected by this web site. This website takes every precaution to protect our users' information. When users submit sensitive information via the website or to our card processing partners, your information is protected both online and off-line. When our order form asks users to enter sensitive information (such as credit card number), that information is encrypted and is protected with Secure Socket Layer (SSL) technology. While on a secure page, such as our payment request form, the lock icon on the bottom of Web browsers such as Netscape Navigator and Microsoft Internet Explorer becomes locked, as opposed to un-locked, or open, when you are just browsing. While we use SSL encryption to protect sensitive information online, we also do everything in our power to protect user-information off-line. All of our users' information, not just the sensitive information mentioned above, is restricted in our offices. Only employees who need the information to perform a specific job (for example, our accounting staff or a customer service representative) are granted access to personally identifiable information.